The landscape of the beautiful village of Valldemossa in the Serra de Tramuntana, Mallorca, is characterized by ancient olive trees planted in terraces. Here, trees of hundreds or even thousands of years of age are still producing olives. 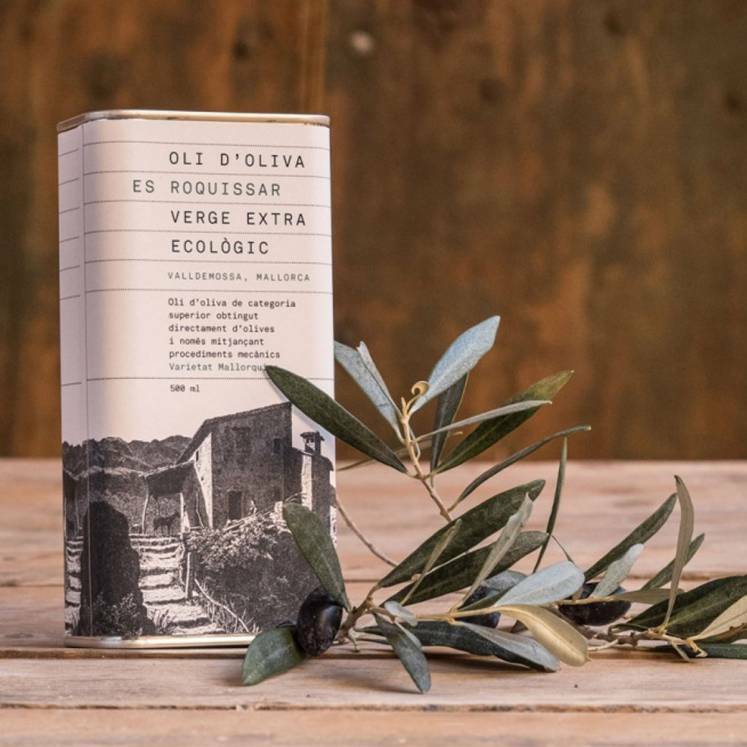 The organic extra virgin olive oil "Es Roquissar" is obtained exclusively from the variety Mallorquina and won in the traditional way.A versatile and gentle olive oil of pleasant flavour with a slight note of almonds and apples. Very delicious.